“Hugo The Hippo” is an animated movie based on events in Zanzibar early in the 20th century. It’s the story of Hugo, a young hippopotamus who was adopted by a group of school children after his parents had been slaughtered in a cruel extermination program. The children hide and protect Hugo, but he is eventually captured and tried in court, where the kids turn out to be the best witnesses for the defense. The movie featured the voices of Robert Morley and Paul Linde. 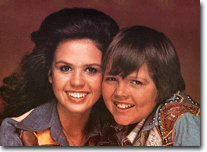 Burl Ives, Marie Osmond Jimmy Osmond, sang 10 songs on the soundtrack, with words and music by Bob Larimer. Produced by Robert Halmi and animated in Budapest, Hungary, “Hugo The Hippo” was released in 1976.